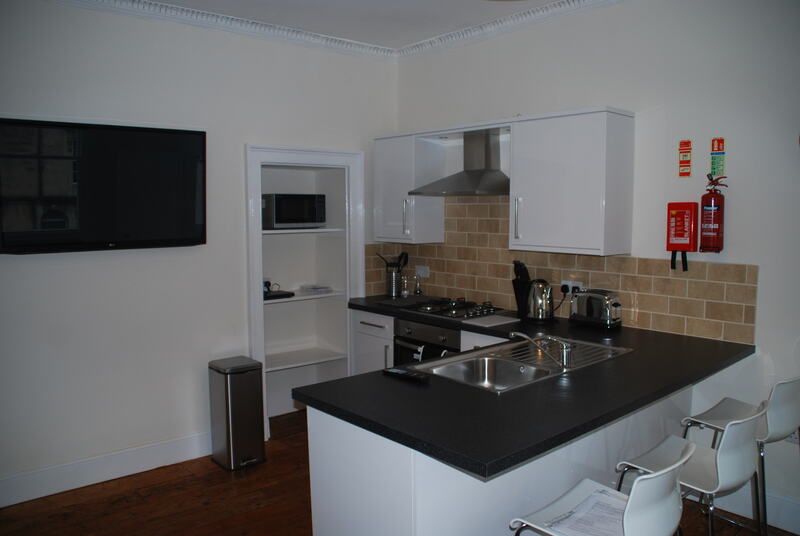 Another of our favourites, this beautiful apartment was completely refurbished to give a light an airy feel. 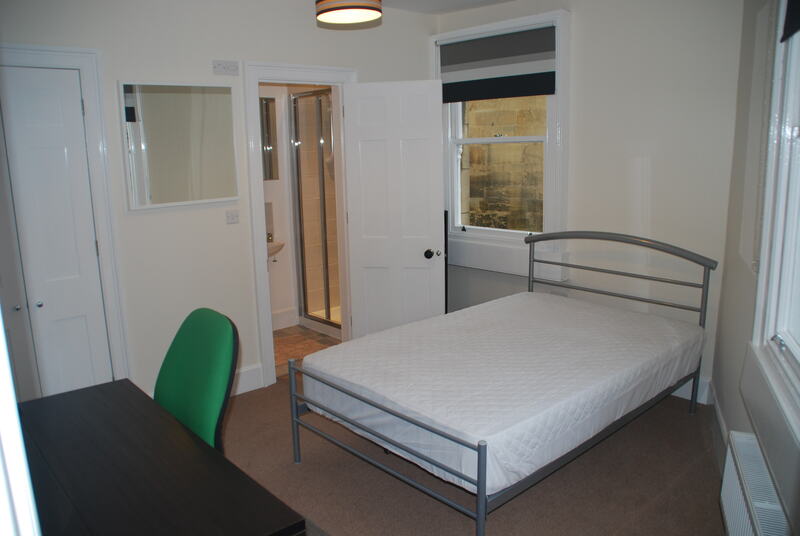 Set over 4 floors, the apartment is ideally located for Bath University (5 mins walk to bus stop) and the city centre (10 mins walk). The original staircase leads to the first floor where you will find the spacious kitchen/diner, a great communal area. Exposed wood floor boards, comfy sofa and wall mounted flat screen TV give the apartment a really extravagant feel. 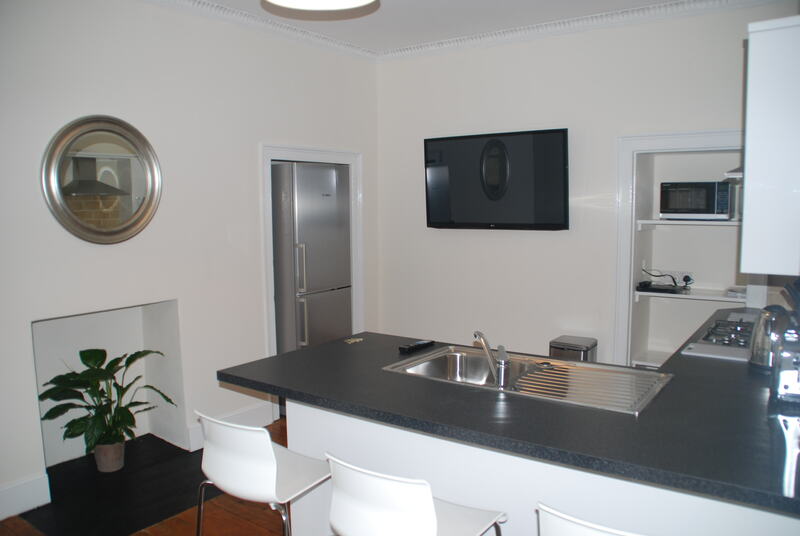 The open plan kitchen is fully fitted and equipped with everything you will need, including dishwasher & microwave. The utility room houses a washing machine & tumble dryer. The double bedroom on the first floor has it’s own en-suite shower room. 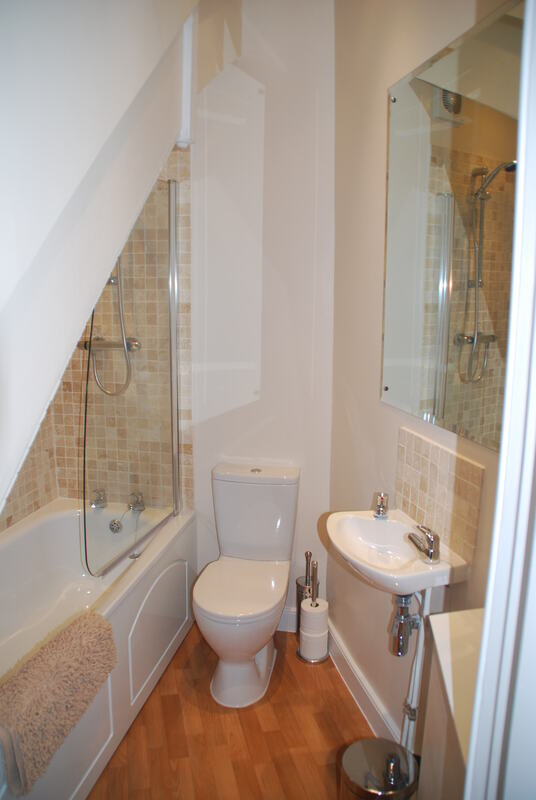 On the second floor you will find a further double bedroom and bathroom with bath & overhead shower. 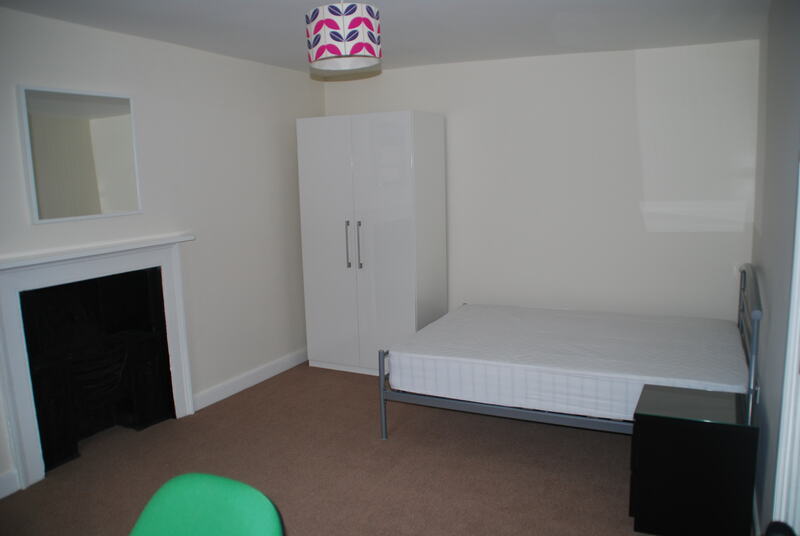 Whilst on the third floor there is a double bedroom and a study. All rooms are fully furnished to a high standard. And if all of that wasn’t enough, there is even a phone entry system.